While commonly foregone secondary to complications with shoe gear irritation, fifth toe proximal interphalangeal joint arthrodesis represents a viable treatment option under certain circumstances. 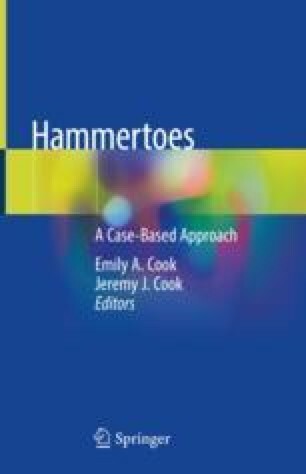 Foot and ankle surgeons should consider fifth toe proximal interphalangeal joint arthrodesis in the presence of isolated rigid contracture of the fifth toe, with global lesser toe deformity correction and neuromuscular disorders with the goal being to create a stable rectus digit. Fixation of the fifth toe proximal interphalangeal joint is technically difficult due to the small size of the phalanges, and accordingly fixation methods are limited to intramedullary devices. While not commonly performed, for the appropriate condition, fifth toe proximal interphalangeal joint arthrodesis may be performed successfully.